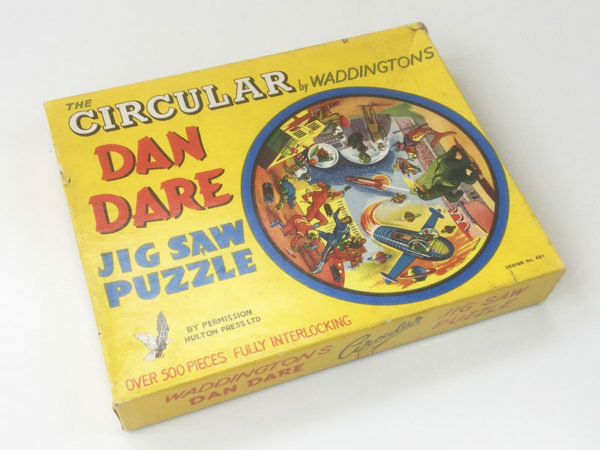 This vintage ‘Dan Dare’ Circular Jigsaw Puzzle was made by Waddingtons in the 1950’s. 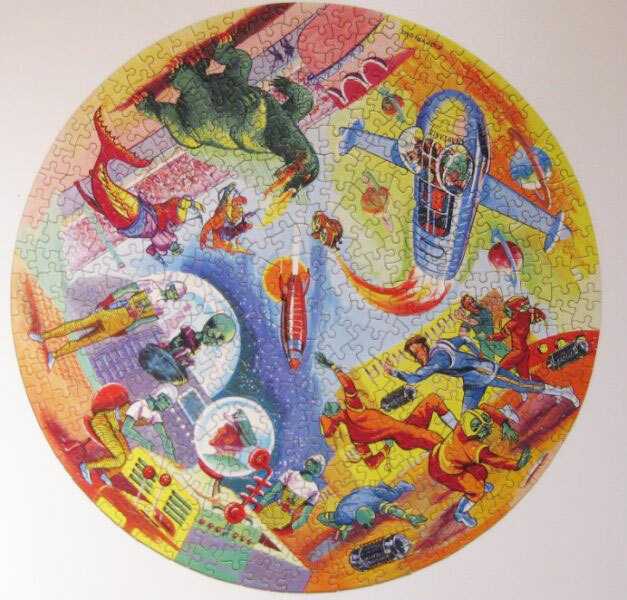 The 500-piece puzzle, which looks very impressive when complete, features a montage of scenes from Dan Dare’s adventures in the Eagle comic. 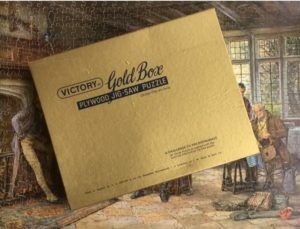 The jigsaw puzzle is complete and the cardboard puzzle pieces are in very good condition with minimal wear. 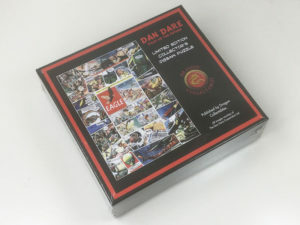 The box has some storage wear (mainly to some edges and corners) but the graphics are still vibrant and the box is still sturdy and perfectly useable. 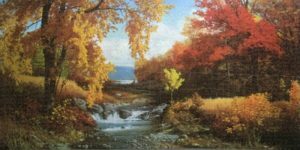 Box: Average – Good (Grade: 6.5). Some marking/rubbing to edges and split seam at one corner.